Hi, Daniel José Older! Welcome to Watch. Connect. Read. Many thanks for dropping by to celebrate Dactyl Hill Squad’s AWESOME cover and to finish my sentences. 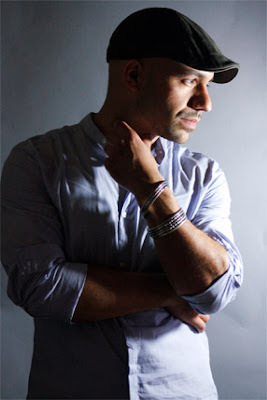 Daniel José Older: Thank you!! I’m so excited to talk to you about it!! As you can perhaps tell by all my exclamation points!! I’m always excited about writing books but this has been THE MOST fun and THE MOST excited I’ve ever been, so thank you for the opportunity to talk about it! Thank you for your enthusiasm and exclamation points!!! I am excited for everyone to read Dactyl Hill Squad. 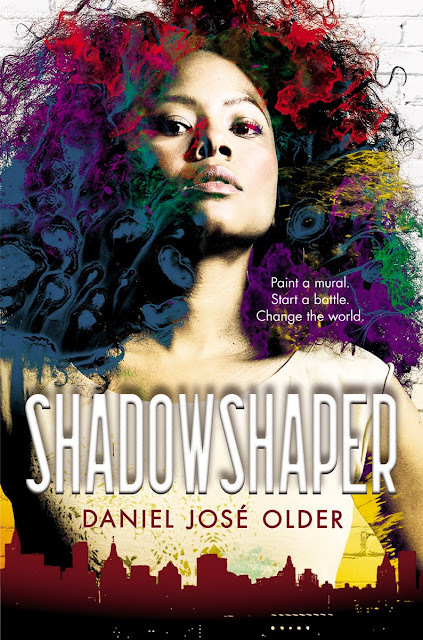 Nilah Magruder’s cover illustration is really one of the coolest pictures I’ve ever seen in my whole life. It’s almost like she reached into my mind and extracted what little kid me would’ve wanted to see on a book cover and then made it into the perfect drawing. I just keep staring at it in awe. As soon as Dactyl Hill Squad started coming together, Nilah was the person I had in mind to illustrate it, so I’m so happy it worked out! 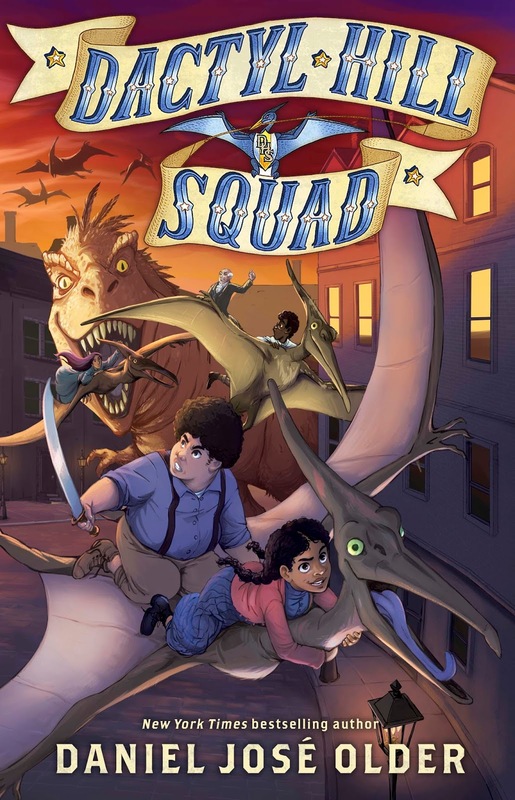 Magdalys Roca is a brave and brilliant girl who, when we meet her, is just finding out that she has a very special connection to the dinosaurs that roam the streets of New York City in Dactyl Hill Squad. Also, she lives at a momentous and terrifying time in history, as the Civil War rages and racial violence threatens to destroy everything she loves. The Draft Riots were a tragic couple of nights in Manhattan during July, 1863 when rioters burned and looted the city to protest the draft, and particularly targeted their attacks towards black New Yorkers, including burning down the Colored Orphan Asylum in Midtown. Brooklyn in 1863 became a safe haven for New Yorkers of color fleeing the violence of the Draft Riots in Manhattan. They set up independent communities like Weeksville and Crow Hill, which in this fantasy world version of New York becomes Dactyl Hill. Magdalys and her friends escape there and end up flying pterodactyls from rooftop to rooftop, sweeping chimneys, and keeping an eye on the neighborhood for the Vigilance Committee, which was a real life group of abolitionists. Brooklyn is also one of my favorite places in the world and where I’ve set most of my books. School libraries are essential to the growth and wellness of not just young people, but the whole world. I don’t know where I’d be without school libraries, because school libraries were where I learned so much about who I was, what the world is, and, maybe most importantly, who I was in the world. Besides the learning part though, school libraries are also crucial because that’s where young people can go to let their minds wander and imaginations grow. School libraries, so often, are safe havens. Mr. Schu, you should have asked me…DANIEL WHY ON EARTH DID YOU WRITE A BOOK ABOUT DINOSAURS DURING THE CIVIL WAR ERA?? And I wouldn’t have totally known what to say, because I’m still asking myself that question halfway through writing book 2. All I know is: I love history, and I love monsters (both real and imagined), and I love the wild crossroads where history, mythology, and memory all crash into each other. I was fascinated by the Civil War era but didn’t have an entrance point to really conceive of it in fiction until I imagined the graceful neck of a sauropod swooping out of the East River, and after that everything clicked. I’d read about a Cuban girl who’d been mysteriously dropped off at the Colored Orphan Asylum and an early black Shakespeare company and I began dreaming up raptor attacks and pterodactyl chases and the pieces started coming together. I can’t wait for people to read this book! Look for Dactyl Hill Squad on September 11, 2018. 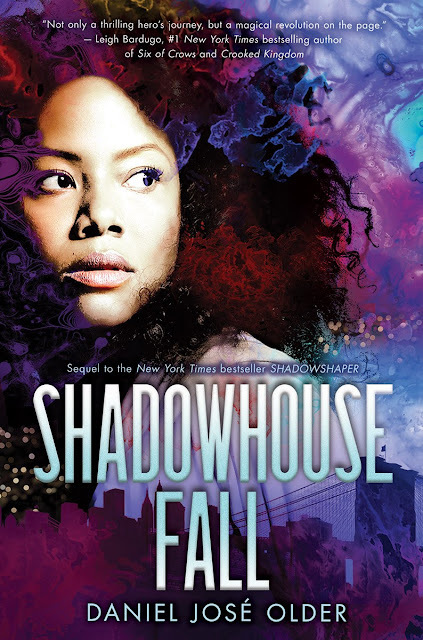 Magdalys and her friends flee to Brooklyn and settle in the Dactyl Hill neighborhood, where black and brown New Yorkers have set up an independent community—a safe haven from the threats of Manhattan. Together with the Vigilance Committee, they train to fly on dactylback, discover new friends and amazing dinosaurs, and plot to take down Riker. Can Magdalys and the squad rescue the rest of their friends before it's too late?